The internet and social media are technologies that cannot be separated at this time. Many things we can learn and get through social media, and with the support provided by the internet, distance is not a barrier for us to communicate with relatives and strangers. However, we didn't realize how to use social media wisely. We often share our daily activities on social media without providing any filter first. This will be very dangerous because our privacy will be accessible to everyone freely. Especially if we use centralized social media, our data will be utilized by third parties or the owners of a social media platform. Our private data can be traded by the platform's owner to the advertising companies. Sooner or later with the data they have, they can put the ads on our homepage by using the algorithm of our surfing history on the internet. Imagine how dangerous it is if we are very active in using social media. We can always upload personal data that could be consumed by the public, then the data have misused, the most fatal is when the data used as a tool in committing crimes by someone. Let's say someone else can easily track our place of residence via a phone number or email, and eventually commit crimes against ourselves. Another thing is when we use social media as a medium to do research, such as making polls to get responses from social media users. Those who will benefit from the polls we make are the owners of the platform because they can sell the data we have to other companies at very high prices while we do not get any benefits but only data from the poll results. Things that can harm us as consumers on social media must be stopped, and this is the time to turn to use safer social media which can maintain our private data. Currently, there is blockchain technology that has a decentralized and distributed system that can keep up the private data using cryptography, so that other people even the owner of the platform can only access our public data, but they can not access our private data. Lumeos is one of the alternatives if we want to use social media and even do a poll in getting data for research that we want to do safely. Lumeos is a decentralized application built on the EOS blockchain. The data that we have on the application is entirely ours, and we are as the owner of the account have full control of our private data. 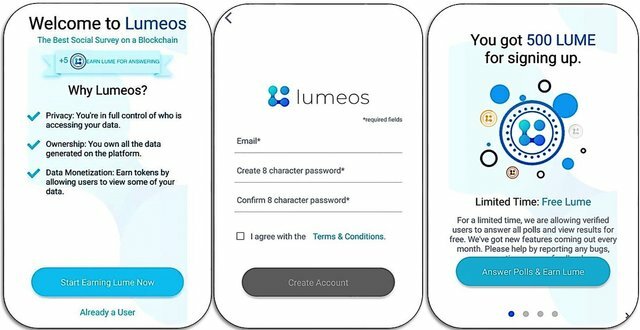 A Lumeos application will allow us to buy, sell, even exchange the data upon fellow users of the application directly by using the P2P system. We will be rewarded with Lume token when we involve with the polling event. Then, we can exchange the Lume token on a crypto market. This will be very beneficial for us as a consumer. 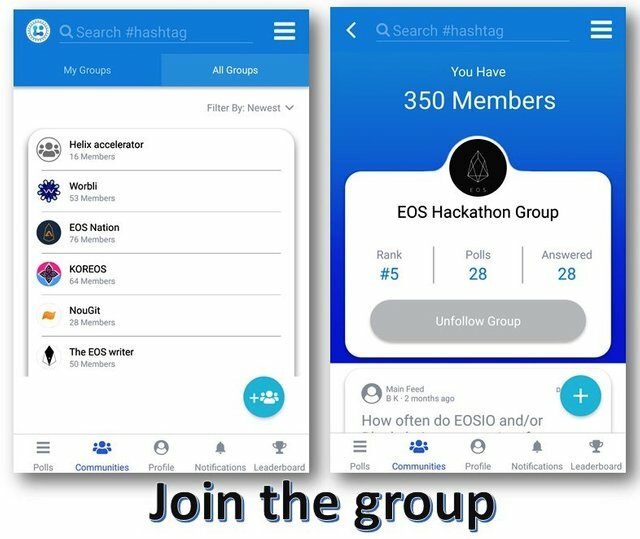 We can get the Lumeos application now by visiting the StateOfTheDApps platform which is a decentralized platform where there are also decentralized applications using blockchain technology. Lumeos has placed 33rd on the StateOfTheDApps platform. For me, this application is helpful. 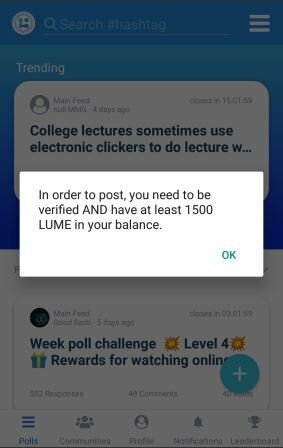 In this post, I will try to do a review of the Lumeos Application and see the weaknesses so that they could improve the DApp in the future. First, we have to verify our email address to get the Lume tokens. Then, we can get additional rewards by involving in another poll, so our Lume tokens will be increasing. I strongly recommend you to follow the community, there has an Indonesian community too. It will be easy for you to take part in more polls made by the community after following them. 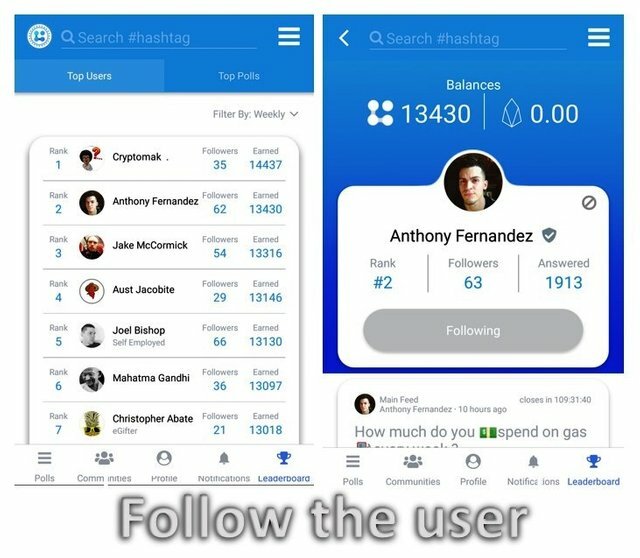 Also, don't forget to follow another user especially on the leaderboard list, once you follow them you won't miss the latest poll they will make. 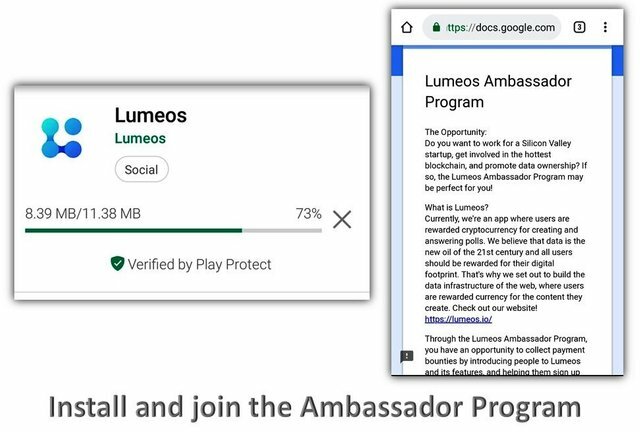 Lumeos also has an Ambassador program with a variety of tasks that we have to run such as promoting about the Lumeos DApp and creating events and campaigns about the products offered by Lumeos, certainly with attractive rewards as well. Because this DApp is still under development, the Lume tokens still cannot be exchanged in the crypto market. I also feel inconvenient for the poll policy, we are expected to have a minimum of 1,500 Lume tokens. This is too expensive and will take a long time to collect the tokens. It isn't good if we involve in all the polls event, it would be indicating as spam. 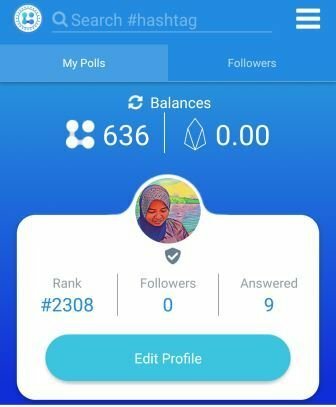 Overall I think Lumeos DApp is very good. Also, I recommend this app for those who like to make polls for data collection. I will give 4 stars for this DApp.